I’ve got a new ornament pattern to share with you for 2015! Introducing the Ho Ho Sew! 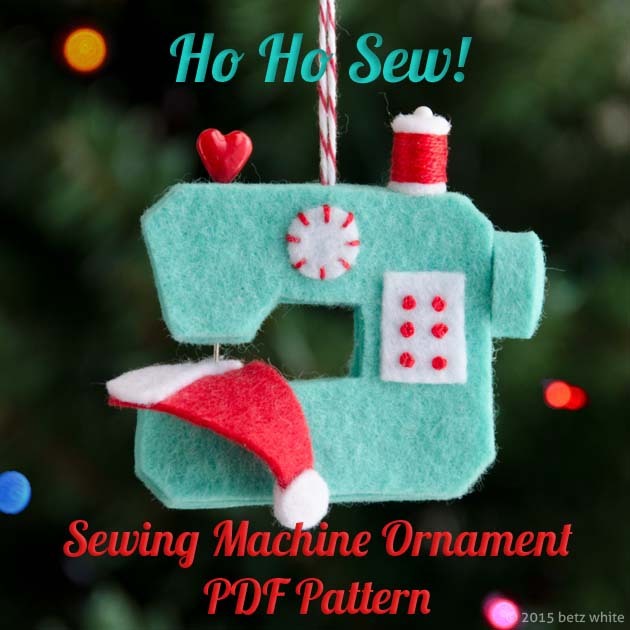 Sewing Machine Ornament PDF Pattern. 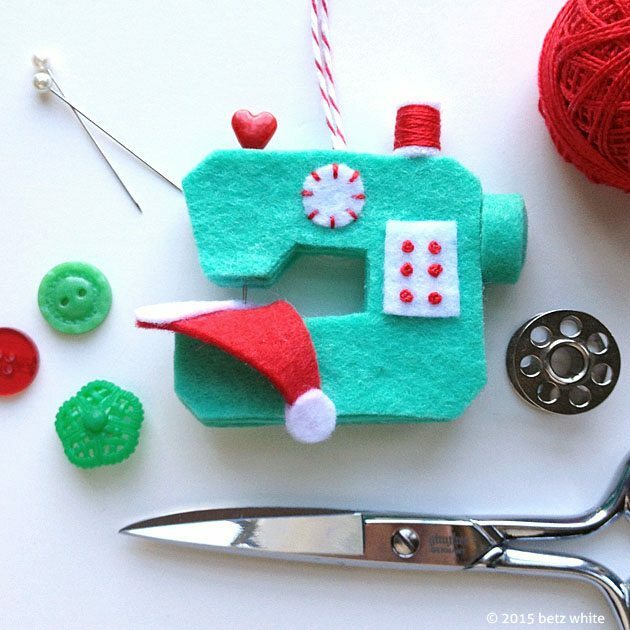 This sweet little sewing machine ornament will appeal to those that sew and anyone that appreciates handmade things. Imagine a tiny elf helping to stitch up a new hat for a tiny Santa! Easy to make with felt, glue, and a few embroidery stitches. Great looking on your tree or make as a gift. The ornament measures approximately 2 1/2″ x 2 1/2″, not including the hanger. This is a no-sew project, except for the minimal embroidered details (which you could totally draw on if you wanted to, I won’t tell!). The pattern is now available in my Etsy Shop! By the way, if you’re curious about the Ornament Club I’ve run in the past, it won’t be offered this year! This pattern is the first of hopefully several this season available for individual purchase. Thanks! cutest ornament ever, thanks for sharing tutorial.